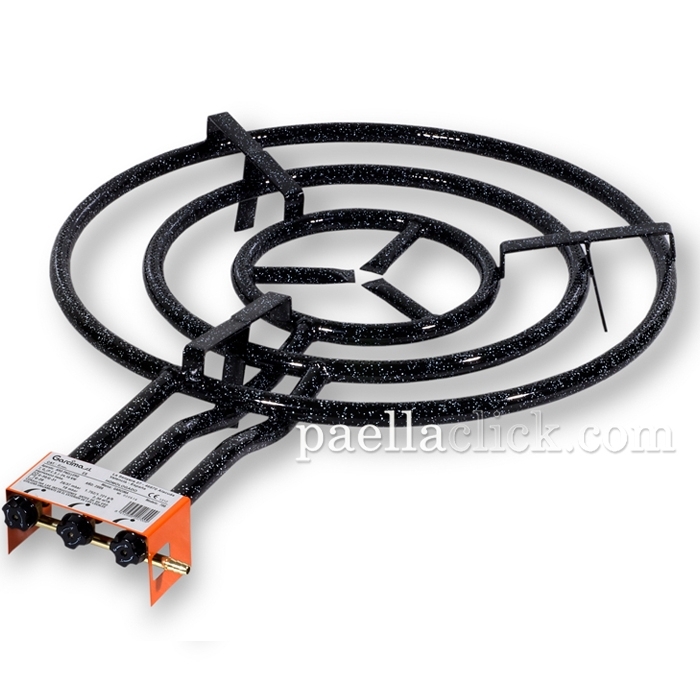 For Paella pans up to 38 - 90 cm. 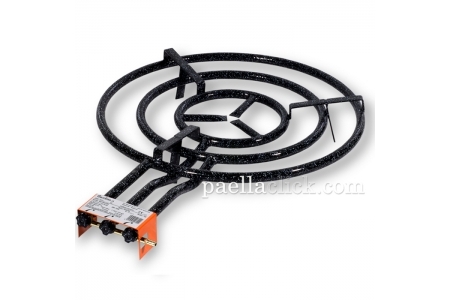 The model 700 gas burner has three independent rings of fire, that allows you to cook paella pans ranging from 7 to 50 servings. Also, the gas burner is covered with a vitrified enamelled layer that allows easier clean-up and prolongs the useful life of the product. Samea s every other gas burner from the Garcima brand, its desing allows for excellent combustion and great reliability. 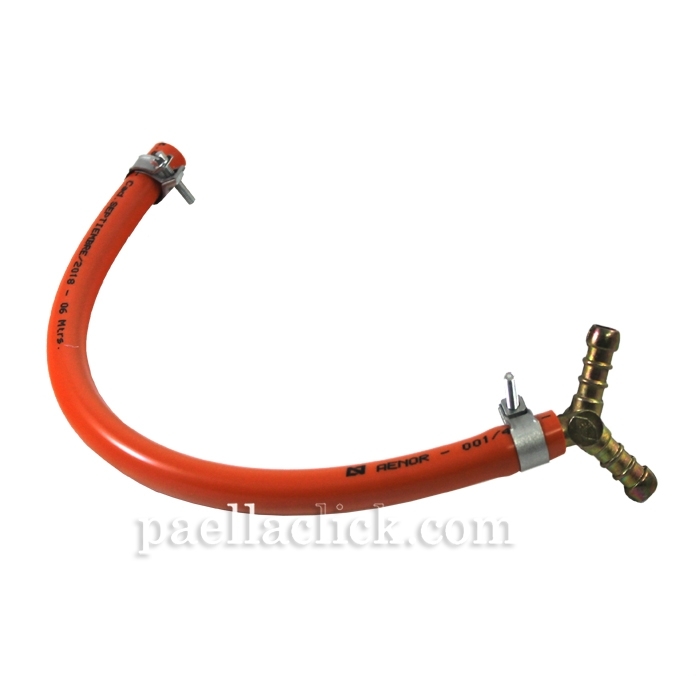 Included with the gas burner, we provide a section of butano gas hose with double connection, that allows connecting two gas bottles at the same time. 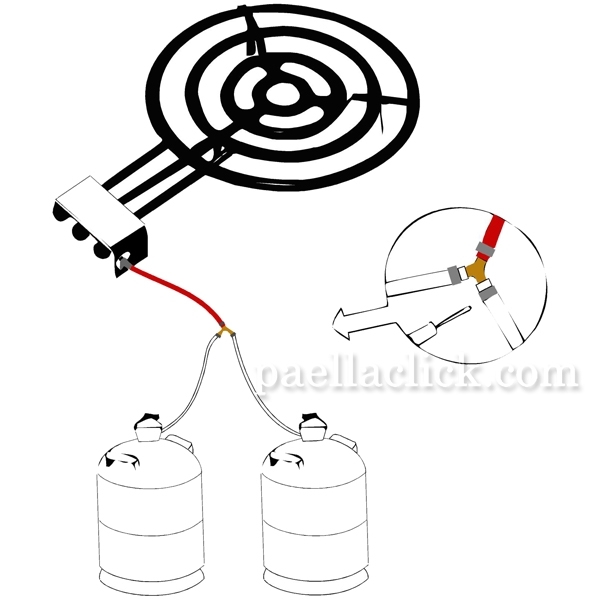 To use the three rings simultaneously with optimal performance, we suggest connecting two butano gas bottles so you can keep an steady suminister of gas while cooking. 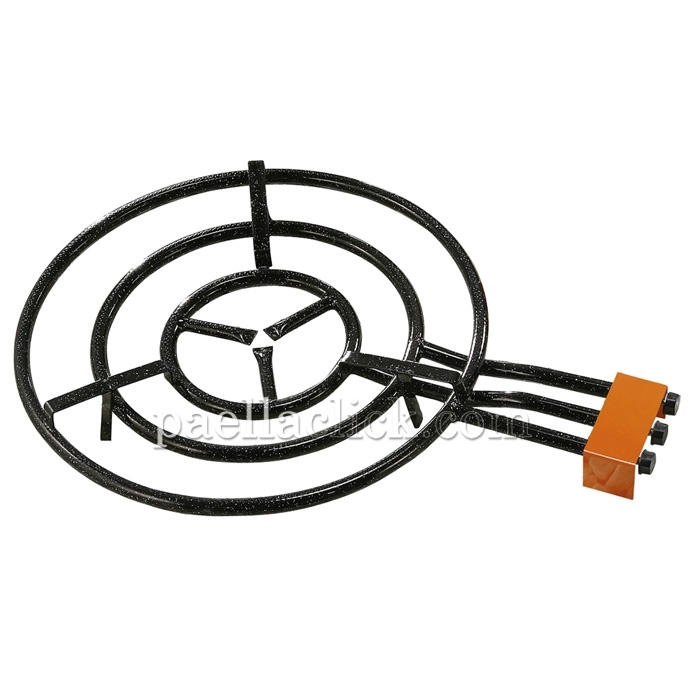 To use our paella gas burner comfortably and safely, you can use our reinforced 3-legs set.